And it is another “nippier than normal” weather day! Check out the inspection violations at the pizza place in Mount Joy in this week’s inspections at Lancaster Online. Within the past few days someone posted something about unsanitary food preparation at a local facebook page. The comment garnered lots of comments about the pizza place including one that recommended calling the state. Curiously, we cannot find the post and all those comments now; they’ve disappeared. The other Columbia’s residents received their Spring 2018 newsletter this past week. 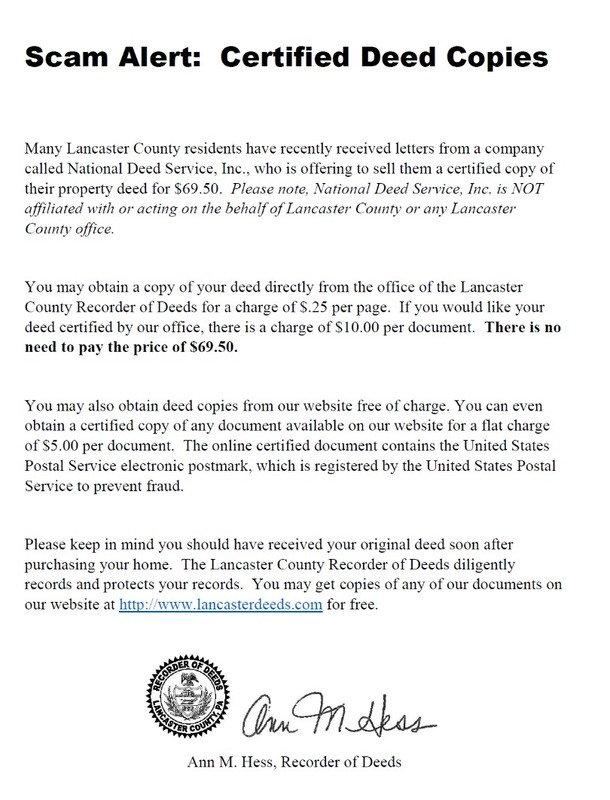 Click on the above graphic to enlarge this SCAM ALERT found at the County’s Recorder of Deeds page. Next redo of a redo of a post in 2011 – what’s old is new again!